So I bought this table in Ikea a while ago thinking it would come in handy for when my nieces are over to play or eat at and the grey colour fit nicely in the newly decorated hallway. I knew when I bought it that I wanted to do something to it to up-cycle it. 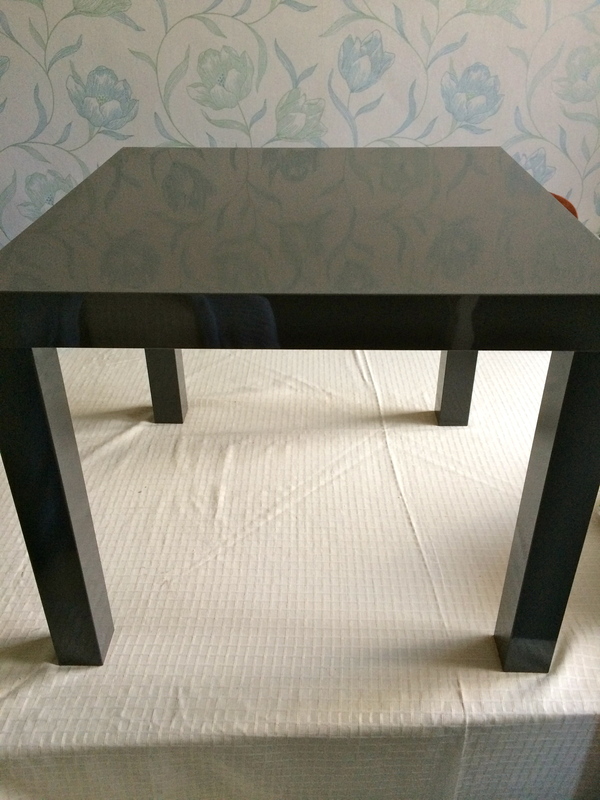 Now I know this isn’t the true essence of up-cycling, it was a new piece of furniture rather than something old or second hand but I thought it would be an easy project to ease myself into the concept. I have lots of ideas for other projects further down the line too so watch this space! 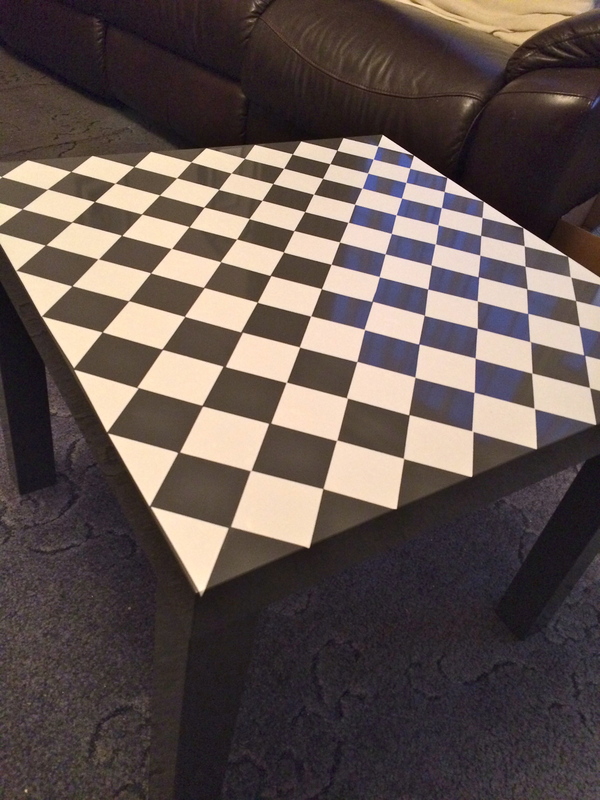 Firstly, I decided to go for a checkerboard design keeping it relatively simple for my first attempt. 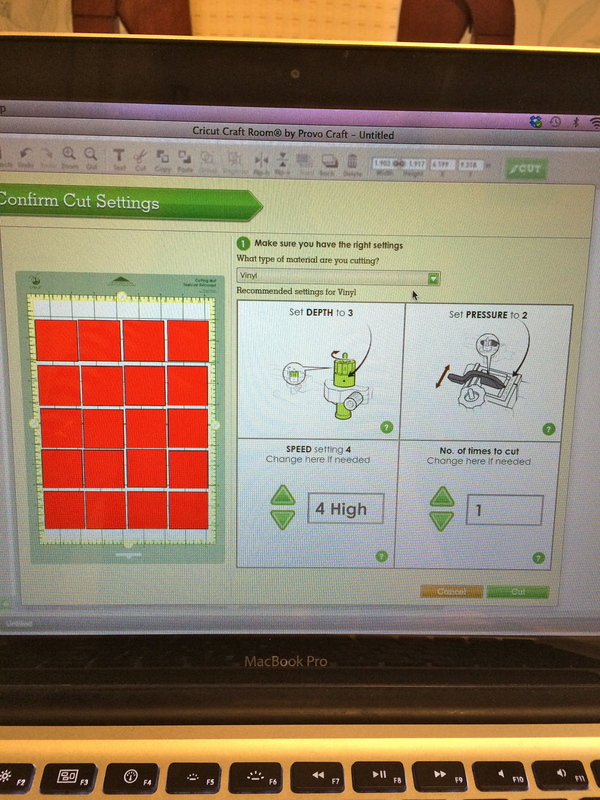 I measured the table and worked out what size my squares needed to be to make an even pattern. 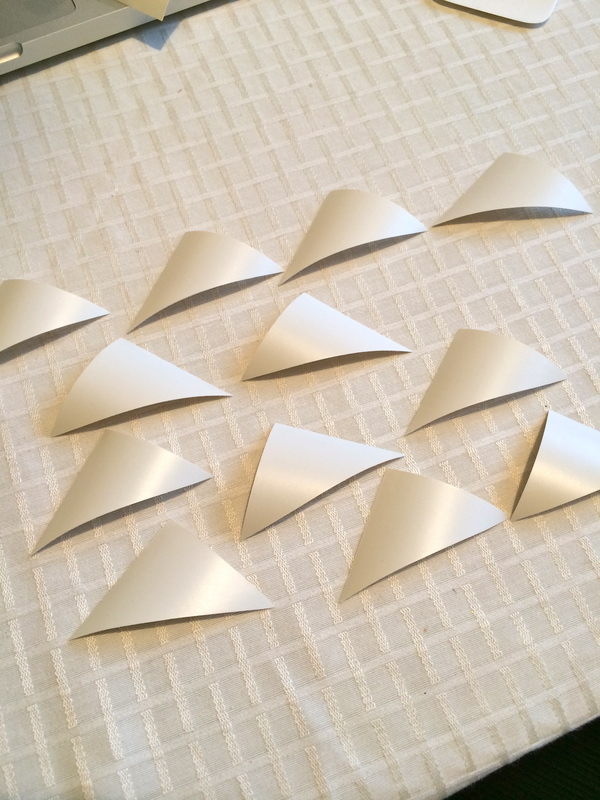 Then, I used my Cricut Mini to cut squares and triangles the right size for my design. 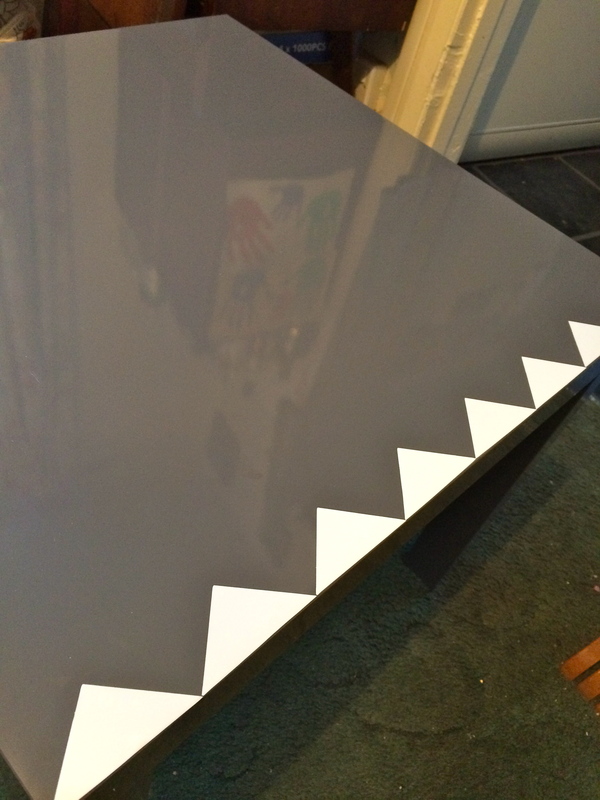 I started the design by sticking a row of triangles onto the edge of the table, followed by the squares. 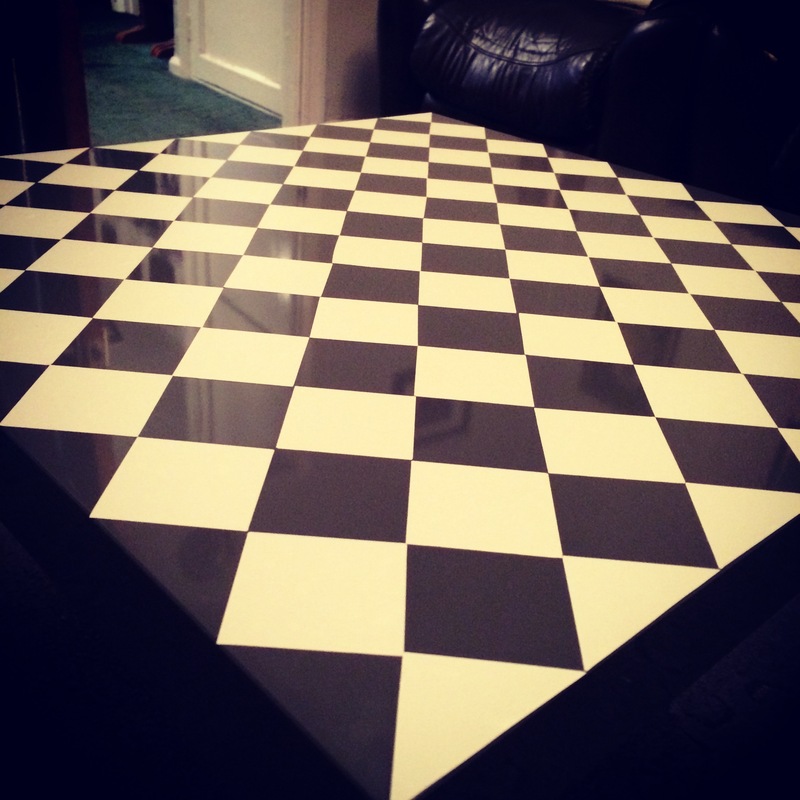 This was a pretty quick and easy project and you could do which ever design you wanted. There are tonnes of images available on the Cricut Mini so you could put pretty much ay design you wanted to on there from Disney for the kids to snowflakes for Christmas or pumpkins for Halloween. Big reminder that Mother’s Day is this weekend! If like me you’ve exhausted the flowers, chocolates and cliche gifts over the years and are looking for something a little different for your special Mum then why not get personal and make your own gift? There’s still plenty of time to get creative, you maybe surprised at how quickly you can knock something up from a few things you probably already have lying around the house. Here are my top 5 quick and easy gift ideas for Mother’s day. I’ve made a couple of these now for Christmas presents for my mum and she loves them! 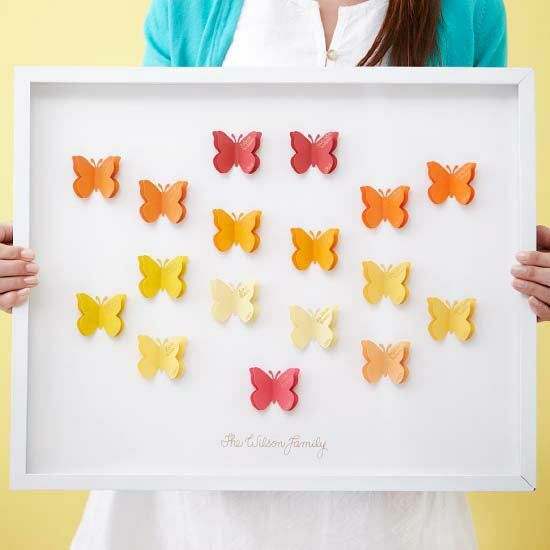 They are pretty simple and all you need is some family photos, card stock and a bit of imagination! You can find a fantastic step by step tutorial over at Glitter Adventure. 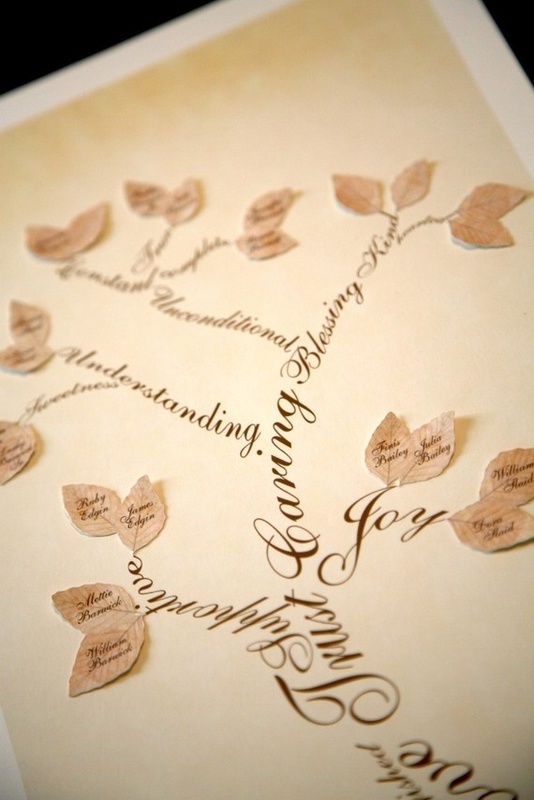 You may have spotted a bit of theme here – I do love a photo gift! 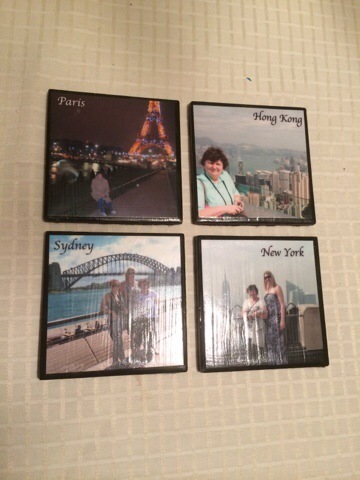 Here are some coasters I made this Christmas with pictures of trips that Mother and I have taken together over the last few years. 1. Paint the edges of the tiles and a boarder around 1 cm thick on each tile. Allow to dry. 2. 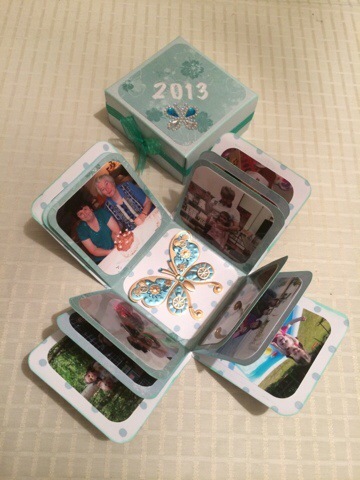 Cut the images to size and stick them to the tiles using Mod Podge. Once the glue has dried, paint 2 layers of Mod Podge over the photo allow each layer to dry in between. 3. 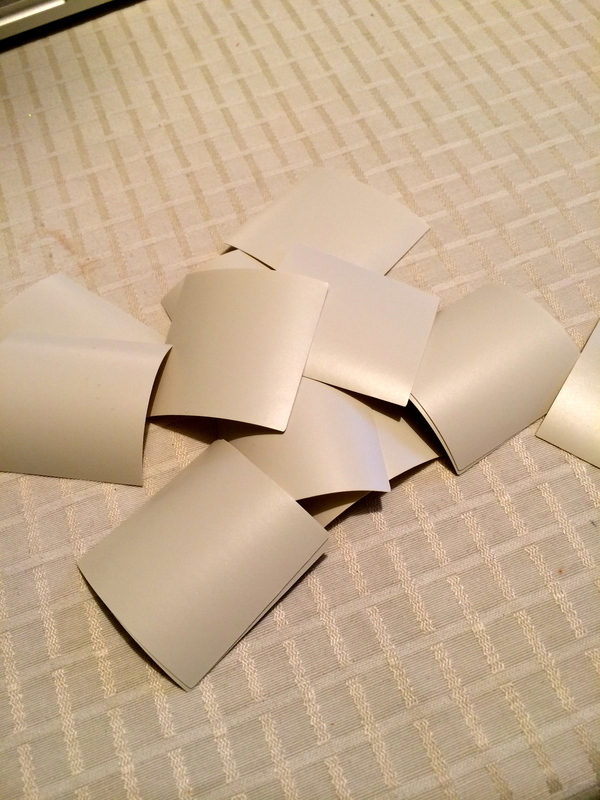 Once the glue has dried, spray the tiles with the coating spray to make them water tight. 4. Cut the felt to size and glue to the back of the coasters with the hot glue. And thats it! You could even use the same technique on a vase or flower pot. Simply make your favourite cupcakes and pipe a rose technique on the top. Place a piece of oasis in the bottom of a flowerpot and arrange the cupcakes with cocktail sticks. 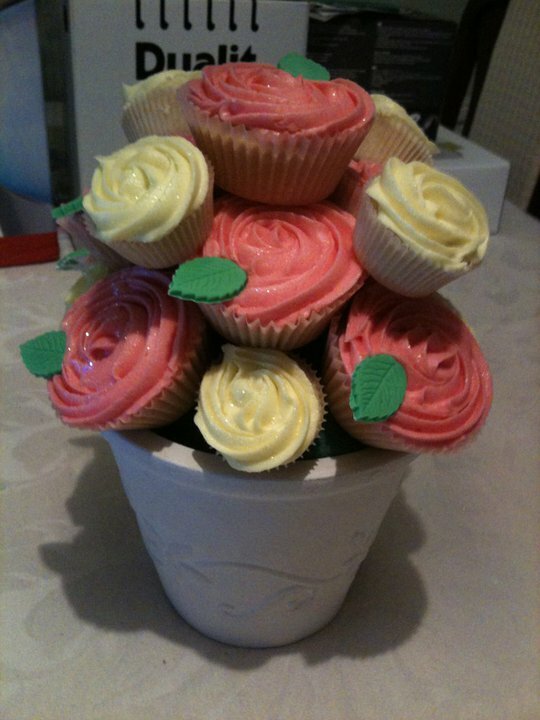 It can help to have two different size cupcakes to get a better arrangement. I think a good cup of tea is probably tops most Mum’s lists of favourite things so why not give them their own personalised mug designed specially by you? Sharpies are a great invention for many reasons but one of them is you can draw with them on ceramics, bake it in the oven and it doesn’t wash off! There are hundreds of great ideas on Pinterest to get you started. 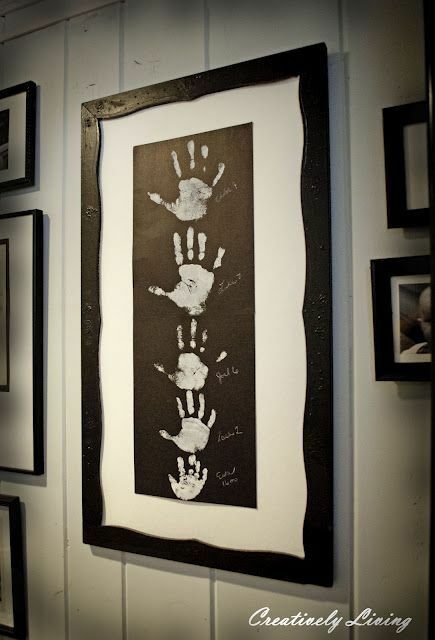 Create something bespoke for your mum that you’ll know she’ll love. 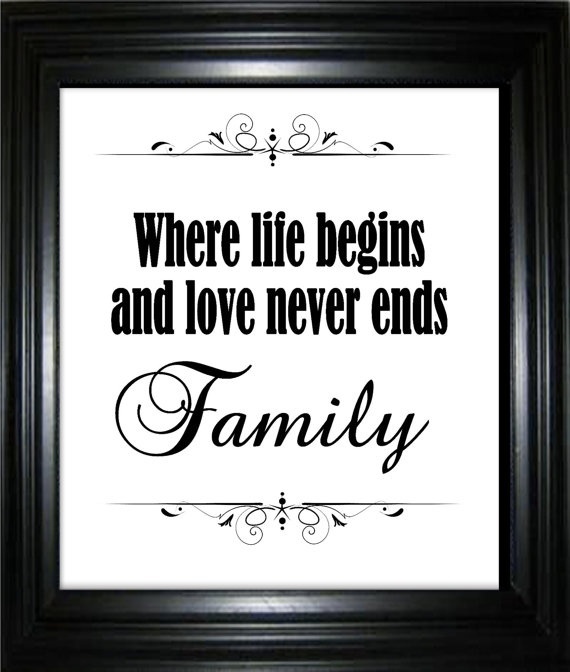 This could be a photo montage of you and your siblings, a painting of your family tree or even a meaningful quote. Again, check out Pinterest – there are some great examples of ones I found below.